Décor rentals including vases, silver, candles, mirrors and more! We have several elegant, exotic, seasonal and always fresh flowers are designed with the client in mind. Floral arrangements are a beautiful and exquisite way to enhance the environment that surrounds and greets your clients. They can be a striking feature that compliments your work environment. As floral designers with over 20 years experience, we can create a specific arrangement that captures the aesthetics and ambiance of your business whether it be elegance, contemporary, classical or modern. We can design floral arrangements to suit any decor to fit your companies needs. As a leader in creative floristry we cater for both corporate and business workplaces, as well as any events or functions that you are planning for. We offer a flexible service tailored to your needs. Whether you require a weekly, bi-weekly or monthly order of fresh flowers or a one off display of everlasting flowers or plants, we can create and install all your requirements. Once registered you will be assigned a company account with us. Fresh flowers delivered every week on nominated day. Disposal of all your old arrangements. Free use of all vases, ceramics, pots and glassware. No fees or setup costs to establish accounts. Free on site consultation and quotes. Enjoy priority service as a corporate client. Enjoy corporate packages and specials. Rentals of our artificial arrangements for workplace or functions. Personalized client gifts can be organised on account. Monthly billing invoice mailed or emailed to you personally every month. Our motto is to deliver on time and keep the customer satisfied. Every customer is unique with specific needs and our goal is to meet those needs. Decor Rentals, Lighted Chandeliars and more! 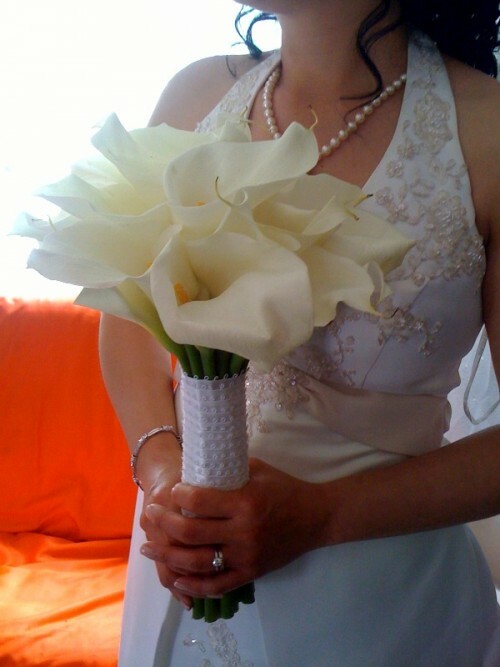 Bostonian Florist can provide wedding flowers, wedding bouquets, wedding ceremony flowers, wedding flower arrangements, bridal bouquets, attendant flowers, wedding corsages, wedding boutonnières, pew flowers, wedding flower accessories, bridesmaid bouquet, wedding reception flowers, centerpieces, formal occasion flowers, floral centerpieces, themed centerpieces, unique centerpieces, table centerpieces, seasonal centerpieces and many other wedding and party flowers. We also have many rentals available to choose from, lighted hanging chandeliers to tall silk arrangements or anything you may have in mind that we can design for your special day! Call Ada today at 617-629-9300 for a free consulatation!